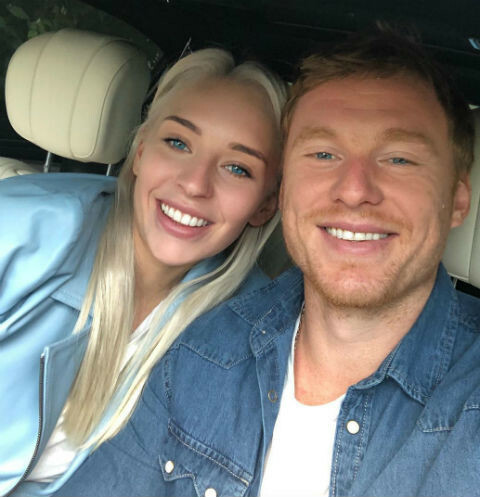 On July 7, the famous gymnast, silver medalist of the Olympic Games in Rio de Janeiro, Yana Kudryavtseva married Dmitry Kugryshev, who plays for the hockey club Avangard. An athlete reported on an important event on her Instagram account. Moreover, she gave an unusual promise. "If the Russian national football team defeats Croatia, then I jump into the pool in my beautiful, new white dress, in which today I became a wife," Yan Kudryavtseva noted. The match, which she wrote, was held yesterday, June 7. As a result of the main time, the teams of Russia and Croatia played in a draw - 1: 1. In extra time, each of the teams scored another goal. In the penalty shootout the Croatians were stronger, they went to the semi-final of the World Cup, which is now in Russia. The fans of gymnastics are somewhat shocked by such a "quick marriage". They recalled that in one of the interviews Yana Kudryavtseva told that she wanted a magnificent wedding, and not "modest" as it is now. Other gymnastics fans suggested that the couple want to arrange a ceremony abroad. 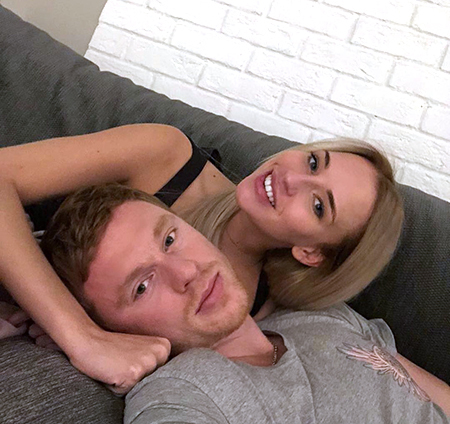 Recall, 13-times world champion in rhythmic gymnastics and silver medalist of the Olympics in Brazil, Yana Kudryavtseva received a proposal of the hand and heart from her lover, hockey player of the Ufa club "Salavat Yulaev" Dmitry Kugryshev. "I'm insanely happy, emotions are still overwhelming. This is one of the best and most important days of my life. Everything happened unexpectedly. There were no vanilla preparations, rose petals and other tinsel. In the evening, we were almost asleep. He took insanely beautiful ring from under the pillow and just asked: "Will you be my wife?" Of course, I agreed", - said Yana. The date of the wedding is unknown. Early last year, Yana announced that she had to retire from her career because of the severe consequences of a broken leg. Recall, Yana Kudryavtseva - the daughter of the famous swimmer, Olympic champion in 1992 Alexei Kudryavtsev and the youngest absolute world champion in the history of rhythmic gymnastics.